Like a ripple in the water, food Inflation is hitting worldwide. After Asia, global food crisis is hitting North American consumers — Now, Wal-Mart and Sam’s Club is restricting purchases of rice. 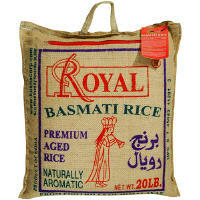 Sam’s Club customers can buy up to four bags of jasmine, basmati and other white long-grain rices, Wal-Mart said yesterday. Earlier India banned rice exports . Many stores in the U.S. are limiting bulk sales of some kinds of the grain as supply fears leap.